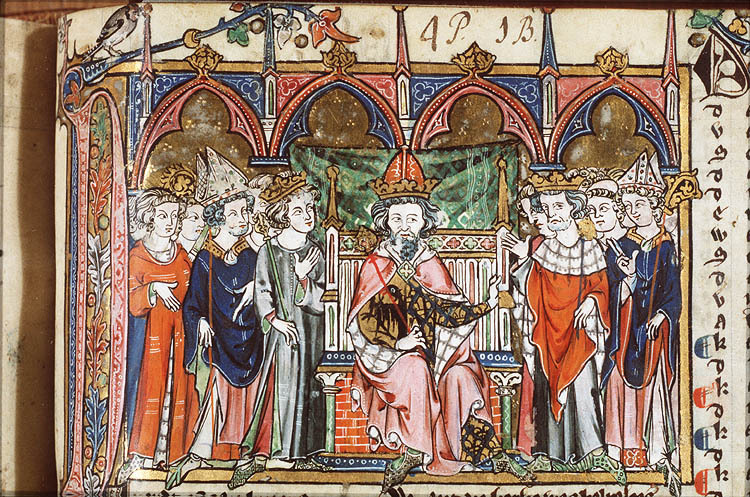 Today we’re talking about the so-called Carolingian Renaissance, the revival of learning under Charlemagne and his successors. But the figures of this Renaissance, the intellectuals of Charlemagne’s court, of the court of Louis the Pious, the court of Charles the Bald are not household names. And I just want to give you a sample– and it is no more than a sample– of these men. And I’m afraid they all were men. And most of them monks or other kinds of clerics. And what I want to do today is remind you for the first, to start, we said last time that Charlemagne’s rule was based on a combination of traditional war leadership, similar to that Merovingians; an alliance with the Church, similar to the Merovingians, but much closer – Much closer in the sense of seeing the legitimation of rule, up to the point of emperor, as a product of what later would be called “sacred monarchy”. In other words, that the kingship was not just rulership over the populace, or over warriors– it was that– but it was also a responsibility– a ministry is the word that’s used– to see to the salvation of the public good. Not just the secular benefit of the public good, as in a modern state, but to the salvation of the people that God would hold the emperor, the king, responsible for this. And then the third element was to revive the Roman Empire. And not just as a political entity, but the Roman Empire as a state. As a form of rulership for the benefit of a diverse population, not just one nation, like the Franks or the Lombards or the Saxons, but of a kind of imperial confederation. The Carolingian Renaissance is a planned one, unlike the regular old Italian Renaissance, which is a spontaneous revival of learning in several different cities on the parts of intellectuals. The Italian Renaissance, like most revivals of learning, might have been patronized by secular rulers, but its impetus was not the state. In this case, however, we have a program of reviving Latin, reviving the classical literature and texts, teaching these subjects. And all of this not in aid of what we would call a purely educational program, but to help the state and to help its mission, which as we’ve just said, is both a Christian and a Roman one. The revival of letters was intended, then, to restore and deepen the piety of the population, the understanding of Christianity, the restoration of the Church as an intellectual force, the preservation of learning from both Roman secular and religious texts. So that Charlemagne’s cultural program is the culmination of a longer period of trying to save something from the wreckage of classical civilization. And thus, as a Christian ruler and as a Roman emperor, Charlemagne surrounded himself with these and other intellectuals, monks, and scholars. In order to understand this mission, however, beyond just saying oh, Christianity or classical culture, we have to go back to some topics we touched on very lightly when we were talking about monasticism. And that have cropped up now and then. So I want to start out with the preservation of learning up to the point that Charlemagne really starts putting together this program around 780 AD. You’ll remember, and you will have seen from Augustine’s Confessions, among other things, that the ideal of Roman culture at the time of the Empire was cultivated leisure on the part of wealthy, well-educated lay people. That is to say, even after Constantine’s conversion, the intellectuals of the Empire tended to be not clergy, but wealthy people who could afford the leisure, the time, and the expense of procuring books, and of discussing them. These were the people who represented the continuation of the literary and philosophical traditions of classical Greece and Rome. And this also had a practical benefit just as, rather in a different way, it does now. In order to enter Roman governmental service, which was the most successful career path of the time of Saint Augustine and had been for some centuries, you needed to have an education of a certain rather rarefied higher sort. And this is not unique to the Roman Empire, it was true of Imperial China, most obviously. In China, you had to pass a very tough exam, a very selective exam, in order to be a part of the highest level of the imperial service. And the exam was not a political science exam or a business decisions kind of exam. It wasn’t like you have a certain kind of budget and you’ve got to allocate resources. It’s not a problem set. It was poetry. It was ancient culture. And the same thing is true of the British Empire in the nineteenth century. In order to enter its highest levels, you needed to know Greek and Latin. Not because you were going to use them governing some colony in Southeast Asia, for example. But because that was what made you an educated person. So the centers of learning in the ancient world included Athens, the Platonic and Athenian academies; Pergamum in Asia Minor, the name of which city gave its name to parchment; Alexandria, which had an entity called the Museum, which was not what we now call a museum, but rather kind of library and research center; Constantinople, later. Alexandria is the most famous because it had this magnificent library as part of the museum, and the mystery of what happened to this library, allegedly burned by the Muslims in the eighth century on the grounds that you didn’t need to know anything except what’s in the Koran. And this is not true. The library had disappeared long before the eighth century and probably was the victim of the kinds of disorders that began in the third century, when we began the course, the kind of disruptions of local society, opportunities for plunder, neglect. And the Museum was actually closed by the emperor Caracalla in the third century. So the major problem of the Roman Empire in terms of the diminution of learning is not the burning of Alexandria or such dramatic events, it’s a much more gradual process. And this gradual process involved what we have at various times, using Wickham’s language, called “the radical simplification of material culture”. Which means not only a lack of imported goods, more primitive accommodations, less trade and commerce, but also much less in the way of books and learning. This is also related to the disappearance of lay literacy. The people who were capable of reading and writing in Latin, as of, let’s say, the sixth century, are overwhelmingly clerics. And not all that many of them, either. The last grand figures of Roman classical culture are Boethius and Cassiodorus. And we’ve mentioned them already, but they bear [clarification: bear repeating]– Boethius, 480 – 524. And Cassiodorus, 490 – 585. 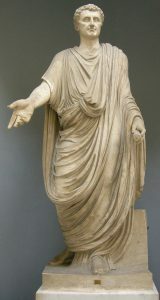 Cassiodorus was a monk. And it is his accomplishment to join monasticism to the preservation of learning. And he had a very long life to do it as well. Reminding us that not everybody just kicked off of the age of thirty-five in the pre-industrial world. Boethius didn’t have a particularly long life, because he was executed by the Ostrogothic king, Theodoric, suspected of treason and plotting with Byzantium. Boethius could still work in his personal library in Rome, where the light filtered in through alabaster windows — the Beinecke Library idea — Onto cupboards stacked with Greek and Roman papyrus books. But Boethius was among the last secular intellectuals in the west, and particularly one of the last to know Greek as well as Latin. He conceived a project of translating the great works of Greek philosophy into Latin, which would have included all of Plato and Aristotle. But he was cut off by his arrest, torture, and execution after just having done some introductory textbooks and just a smattering of Plato and Aristotle. After him and the Justinianic invasion of Italy, Italy was devastated. 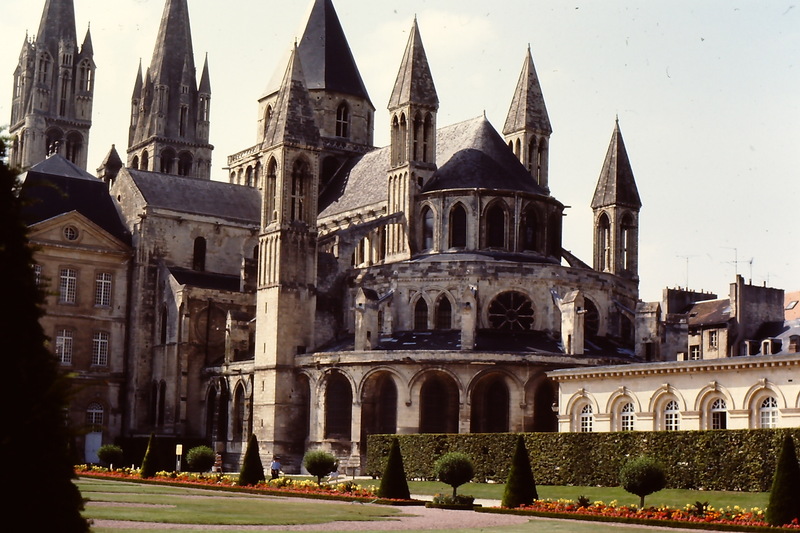 And even though it will remain a repository of manuscripts, its learning was preserved as a guttering flame by monks like Cassiodorus and, almost accidentally, by the monks who followed the rule of Saint Benedict. Saint Benedict does, as you’ll recall, require reading. But it’s usually during Lent, and it’s a kind of penance. 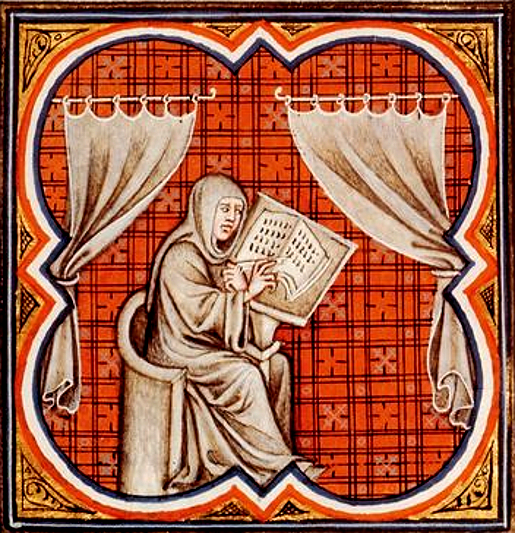 The contribution of Cassiodorus is the organization of a more library-like kind of monastery. And the notion that classical culture is not just a collection of text about a discredited religion, but necessary for Christian interpretation of the Bible and Christian learning. At his monastery of Vivarium in southern Italy, Cassiodorus developed a notion of the liberal arts as an aid to religious truth. The liberal arts is not his invention, but the notion of the liberal arts culminating in a program that has a purpose in which classical culture is fused with Christian culture is his doing. He was not so much interested in the aesthetic pleasure of these classical texts as in their use for interpreting the Bible. The Bible, according to his, Augustine’s, and virtually everybody’s understanding of the time, is not a text that makes perfect sense in every respect literally. It is the book of life that God has set up for us, but it requires interpretation. It is not just a literal text, it is a figurative and prophetic one as well. 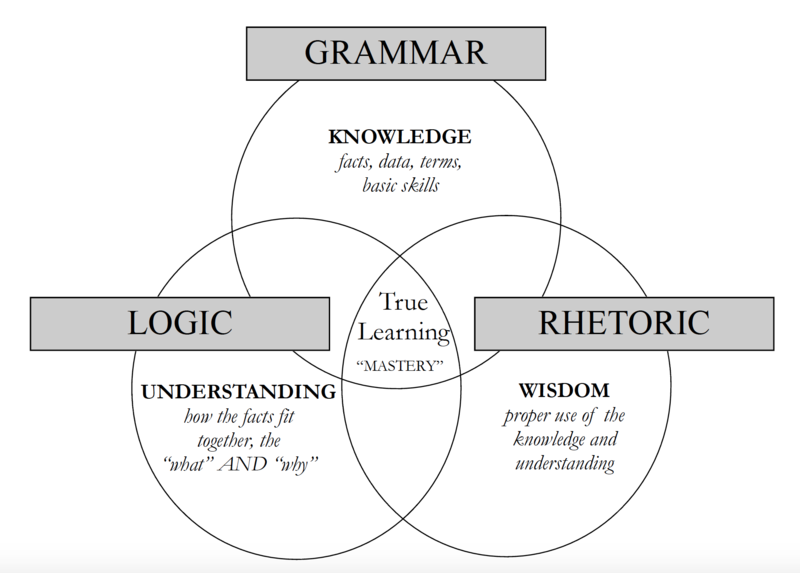 And in order to get at what it really means, what its real messages are, you have to know things like mathematics, astronomy, geometry, even music, and certainly grammar, rhetoric, and logic. These are the seven liberal arts of Cassiodorus’s curriculum. They’re arranged in the three basic elements of the trivium, as it came to be called. The three, not because of trivial, although that’s where the word comes from. The trivium. 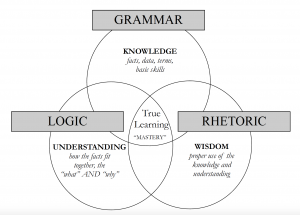 Logic, grammar, rhetoric. Now, I’m in this sort of Rick Perry moment. 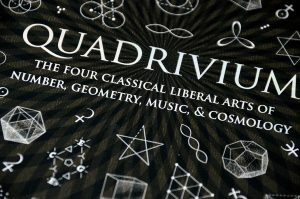 The quadrivium, there are four of them – Arithmetic, astronomy, geometry, and music. OK. So I got all of them. 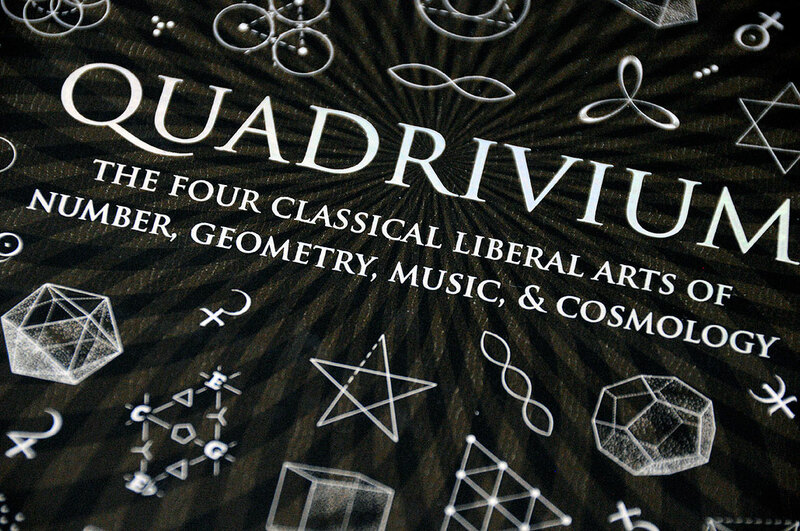 The quadrivium are the sciences. You don’t think music is a science? In the late Roman medieval imagination, it was the science of intervals and of pleasing forms and of modes. This is the period in which the Irish are critical to the preservation of learning. There was a book that was popular a few years ago called How the Irish Saved Civilization. Like many popular books, this is a little bit reducing things to a kind of easy formula. But it is Irish as well as Italian and very much English monasticism, under the influence of both Italy and Ireland, that has a program of establishing monasteries, correcting and preserving Latin, which has become increasingly distant from what people actually speak. And of course, in Ireland, not part of the Roman Empire, they had no tradition of speaking Latin. The monks had to learn Latin as an artificial or completely foreign language. And in a way, that made their Latin better, because they didn’t think that kind of on-the-way-to-French or on-the-way-to-Spanish language that was being spoken in general could be confused with Latin. In the critical period, 550, end of the Gothic wars in Italy, devastation in Italy, to 750, beginning of the Carolingian ascent, there are only 264 books that survive. That is 264 manuscripts. And all but twenty-six of them deal with religious subjects. Of this twenty-six of them, eight deal with law, eight with medicine, six with grammar. Now, one reason that very little survives is that these were mostly written on papyrus scrolls, which is not very durable. Though there is a change underway from about 400 AD to writing on parchment, which is very durable. And accordingly, along with this change to parchment is a change from the scroll to the codex. So the triumph of the codex is roughly 400 AD to 2010. We’re going back to the scroll, actually. We even use the word for the process of going through a document on a computer or a Kindle. How big are these libraries? How many texts do they have? The largest library before Charlemagne’s ascent would have been the two libraries associated with the– in the north of England. And perhaps one hundred books, 120. But it’s at this setting, the England of Bede, the early eighth century, that we start to have the monasteries that really conform to our image of monks diligently copying manuscripts. The invention of what’s called the monastic scriptorium, a place for writing. So there are monks who not only read, but copy other books, maybe borrowed from other monasteries, too. This is a laborious process and one that we can follow, because we tend to know where our texts of classical learning come from, and by how slender a thread they arrive for us. The monks would copy these documents. They would be preserved in the library. But again, these monasteries close, are plundered. The wanderings of these manuscripts then increase the fragility of what exists and what we now. Yeah? How do these monks in far off Northeastern England get a hold of the classical texts? They’re brought up with the missionaries. There are evidence of constant communication with Italy, which is probably the source of most of them. And they’d learned very quickly– remember, I said that there is this magnificent codex of the Bible that’s now in Florence, that was a gift of the English to the Pope in the eighth century. So there is traffic in these extremely precious objects. But it’s very small scale and very fragile, as I’ve said, until Charlemagne. What Charlemagne does is not so much innovate or invent a program, as make it into something that’s not just in artisanal enterprise dependent on a few monks in a few monasteries. And it’s part of what we’ve said is a campaign to salvage classical learning. As Wickham points out, this is an unusual period of intellectuals participating in, and even to some extent, directing government. It’s always necessary for governments to have some economists or foreign policy specialists. But intellectuals in the sense of promoting a program of liberal arts is unusual. Or intellectuals who are not just decorators, ornamentors, people who do nice, illuminated manuscripts, or beautiful fountains out of silver with chirping birds. The court of Charlemagne is a moment of intense intellectual effort. 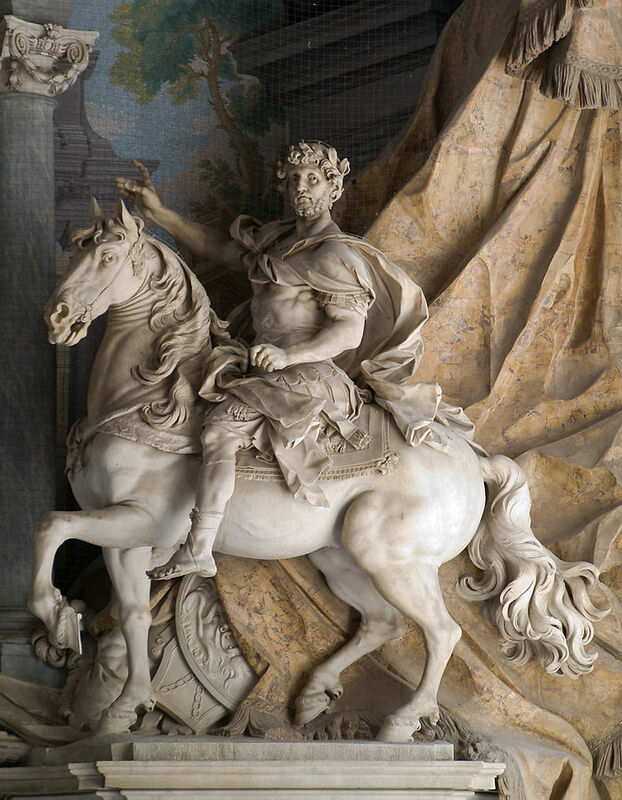 And Charlemagne and his successors were rulers who gave tremendous power, privileges, even wealth, to people who knew something about classical learning. The purpose of this is to standardize education in the Church and to make sure that the Church ran in an effective manner. And also to make sure that the government ran in an effective manner. By effective, I mean uniformity and discipline. So that you could go into a church in Barcelona, the southwestern corner of Charlemagne’s realm, or in Aachen at the court of Charlemagne, or in Rome itself, and hear the same kind of liturgy or ceremony or ritual. That from one corner the Empire to the other, the church laws would be the same. That the discipline meted out to misbehaving priests would be the same. That preaching and missionary work would be coordinated and uniform. Even that spelling and the shape of the letters might be standardized. It is to Charlemagne and these intellectuals that we owe the very beautiful way that we write. As you can see, my minuscule print is the product of a monastic education. These little letters, right? These minuscule letters are Carolingian. This is how they write. In the Roman era, they tend to write in a different fashion. And in the Merovingian court, Visigothic courts, in a still different and quite difficult to read– at least for us now– fashion. The spelling of Latin is regularized at this time. The notion is that the people would receive basic education. And of course, there’s some debate as to how wide a spectrum of the populace this involved. How much education ordinary people were to receive. But from the point of view of the intellectuals fashioning this, what was really important was that the clergy receive a good Latin education. The problem of clerical literacy is a persistent problem of the Middle Ages. Clergy, who may know some formula to recite, who don’t actually know how to read, or who don’t actually know what the Latin words mean. So this is a program not just to save texts, but to use them, to apply them. And also to apply them to a level below that of intellectuals sitting around and discussing the ancient world. 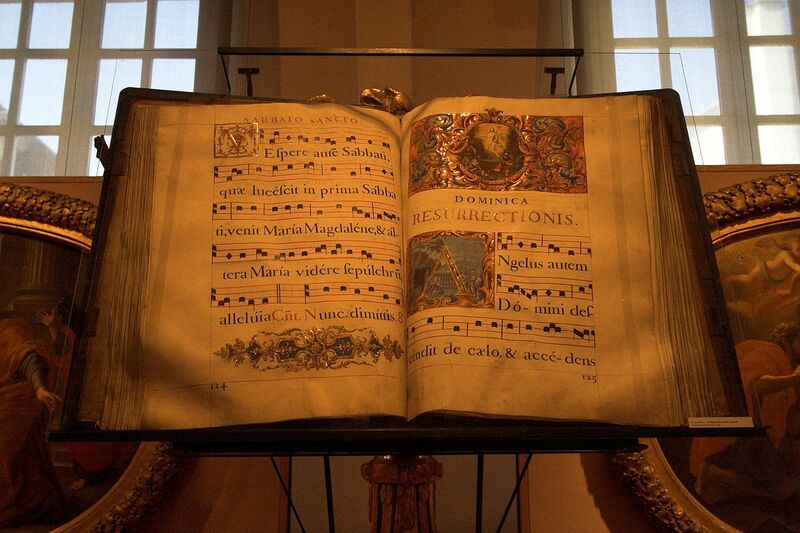 At the highest level, monastic centers collected and copied Latin classical manuscripts. Collected, commented, collated. This is not an intellectual program that aims at entrepreneurship or intellectuality in the sense of innovation. A medieval liturgical antiophonary; Amalarius was a Frankish prelate and courtier, temporary bishop of Trier (812–813) and Lyon (865–868) and an accomplished liturgist. He was close to Charlemagne and a partisan of his successor, Louis the Pious, throughout the latter’s tumultuous reign. Wickham talks about Amalarius of Metz. Amalarius is condemned for certain liturgical innovations. And he’s astounded at being accused of innovating. He acknowledges that this is not his job, although he makes it worse by saying that he had found truth within his own spirit. Saying “I’ve found truth within my own spirit” in 840 AD is not a proper answer, because that makes it sound as if your spirit determines what truth is. Whereas truth is determined by a much longer, biblical, classical tradition. And that’s what orthodoxy is. So he sort of had to accept his not incredibly severe punishment, but punishment nonetheless. The Carolingian Renaissance was organized by a group of people who are from all over the place. Theodulph of Orleans is probably a Visigoth. Paul the Deacon is probably a Lombard. Einhard is a Frank. The greatest of these figures, Alcuin, who was more specifically commissioned by Charlemagne to– and Alcuin’s dates are 730 – 804. Alcuin is from Northumbria. Alcuin is from the school established by Bede. These scholars, as you can see, have different areas of specialization. Their enterprises, or their duties, were to regularize liturgy, to revive rhetoric, moral theology, logical argumentation, poetry, and to argue against theological unorthodoxy. The two theological problems of the Carolingian Empire were iconoclasm — debates about that, which we’ve already seen in the Byzantine Empire — and a heresy called “Adoptionism”. Adoptionism is the notion that Christ was a human who was essentially adopted by God to become his son. It’s a heresy that, at the time of Charlemagne, was strong in Spain, or at least defined as a heresy and wiped out. We said that there are twenty-six non-religious manuscripts from between 550 and 750. For the ninth century, there are 290 classical manuscripts; 150 for the tenth century. So you can see that the ninth century is kind of a golden age of this. Although again, we’re not talking about an incredible number of things. Not an incredible number, but they’re very, very important. 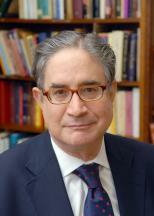 Many of you have taken Directed Studies — first year, freshman liberal arts, great books program. Well of course, DS doesn’t like the Middle Ages for a number of reasons. So it’s not as if DS decided that Lupus of Ferrieres is up there with Plato and Thucydides, but the things that you do read in DS include Polybius’s history of the Roman Empire, Livy’s history of the Roman Republic, Tacitus. Polybius, Livy, and Tacitus are authors who depend basically on one manuscript. And that manuscript is a Carolingian manuscript. For Livy, for example, there’s a lot of his incredibly long history that we don’t have. The so-called lost decades of Livy. Livy’s work is divided into books called decades. The fact that we have as much of Livy as we do is due to the Carolingian copying program. The fact that we have Tacitus at all is due basically to one manuscript. Cicero’s Republic, rediscovered in the nineteenth century, is a palimpsest. And you’ll have heard in section– and in the Beinecke tour, a palimpsest is a manuscript that has been scraped of its old text, a new text put on. But the old text is usually more interesting to us than the new one and can be restored and read. Most of these are regarded as discoveries of the Renaissance. But where the Renaissance scholars found them was in northern monasteries, where they had been copied and kept since Carolingian times. 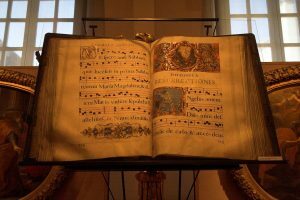 Where then, did the Carolingians get their manuscripts? Where did they get the things to copy? Which is really a version of the very perceptive question that was asked before. Italy, for the most part, especially Ravenna, Monte Casino, and Rome itself. So, for example, the German Monastery of Lorsch obtained from Italy an ancient manuscript of Virgil and copied it. 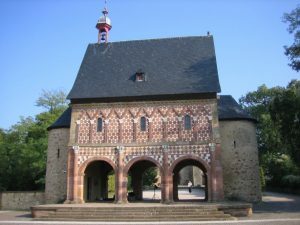 They also have, or copied, Livy’s fifth decade– that is part of Livy’s Roman history– the unique manuscript of the fifth decade, found in the Renaissance at Lorsch. Copied at Lorsch in the ninth century from some papyrus Italian original, long since lost. In addition to Lorsch, the centers of learning include Aachen itself, the court of Charlemagne, Corbie, Tours, St. Gall,. And these libraries, we can see their growth during this period. So, for example, the Monastery of Reichenau, on an island in Lake Constance. In 800, the year that Charlemagne was crowned as emperor, Reichenau had fifty books. In 846, it had 1,000. Well, all of this emphasis on education and classical learning is extremely important. And indeed, it merits those kinds of “How blank saved blank”. “How the Carolingians saved classical civilization”, in this case. But it does not mark a break with the piety and spirituality of the era. and. That’s part of the point of the Einhard reading. 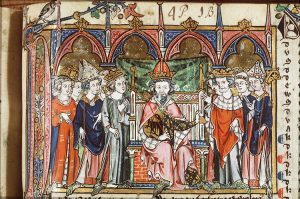 Einhard is a critical figure in the court of Charlemagne, and of his son, Louis the Pious, about whom you’ll be reading shortly, or have been reading. And in Einhard, we see an example of an intellectual of this period and of this place. Einhard is active in the court of Charlemagne. He would be one of Charlemagne’s biographers, as we know, having read him. He’s also a monastic entrepreneur. I did say that this society doesn’t encourage intellectual entrepreneurship in the sense of coming up with new ideas, but it’s a very entrepreneurial society in the sense of getting saints, getting relics, establishing monasteries, becoming popular. It’s a very competitive business environment. And Einhard, as you’ve seen, was very good at this. He had several monasteries and churches under his jurisdiction. But his pet project, not that far from Frankfurt on the Main River, is Seligenstadt. 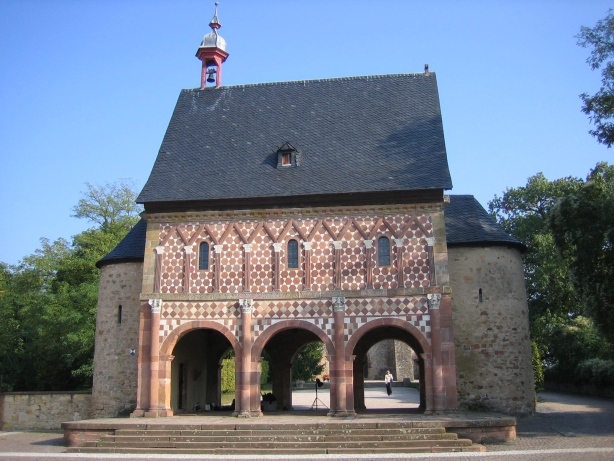 And it’s at Seligenstadt that eventually those relics of Saints Marcellinus and Peter come to rest. Note that the saints, Marcellinus and Peter, were acquired from Italy, just like the manuscripts. Because Italy is where there are an awful lot of saints from the Roman martyr period. There are even more saints, actually, in places like North Africa or Egypt, but they’re tough to get at, because it’s a long trip and they’re Muslim. Nevertheless, we know that lots of relics were liberated– to use a rather 1970s term– from Muslim captivity. Liberated — and, of course, it’s not as if Einhard, in talking about what is called the “translation” of relics, says that he bought them, or that he came by them, quote, honestly. Translation meaning here, the movement, the moving of the relics from one place to another. Marcellinus and Peter were buried in Rome and in a church. And Einhard’s agents negotiate with this dubious kind of character, who maybe can get them some relics and maybe not. And maybe it will require more money, or he’s got to talk to a couple of guys. And it’s this intrigue. And that’s part of the story. The implication is that Marcellinus and Peter want to move. They let their tombs be found. Remember that in looking for St. Tiberius, it’s too heavy to lift the altar up. They can’t do it. On the other hand, with these saints, no problem. And once they come to Seligenstadt, they perform all these miracles, which shows they’re happy there. Sure, they were stolen. And in fact, as Wickham remarks, and as you’ve read, Hilduin, a competitor of Einhard’s, had stolen some of Saint Marcellinus. And Einhard got him to return it, pressured him to return it. And eventually, Hilduin was disgraced. And I can’t remember if he’s executed or merely exiled. But this is a tough business. So in 827, these relics get moved. Let me read you, since this is in a part of the Einhard book that we didn’t assign. Let me just– Yeah. It begins on page 69, if you’re interested in following this. And they even have the itinerary of the relics. They go back, and they get the body. So this is an adventure story. But it’s a sacred adventure and it involves the relics of people who still have some say in where they want to be. The very special dead, as Peter Brown refers to them. And what’s very special about them is that they’re not exactly what you would normally call “dead”. Their relics are very much active. Now, we read in the series of miracles performed by these saints, along with another saint they picked up, Hermes, various medical cures. Notice that these miracles, unlike Gregory of Tours, are pretty exclusively in one category. Gregory of Tours has a lot of what might be called “scoffers punished” miracles. Somebody either tries to fake a miracle, and then is the victim of a real one. Or somebody tries to defy the bishop. Or somebody doubts the efficacy of the saint. In this case, most of these miracles, almost all of them, are people with paralysis, disease of the bowels, horrible sores, blindness. Where to start? How great are these? I know you could not put this down. And I hope you read it to your molecular biology roommates just to show how great this is. I think I have this in the wrong place. Anyway, remember the curing of the angry humpback? These guys are carrying the relics to Seligenstadt, and they stop to rest in a field. And this angry peasant with a pitchfork wants to chase them away. He also has a humpback. And they show him the relics and say what they’re doing. And he falls to his face in adoration. He is cured of his afflictions. And the people of the village insist that the emissaries stay with them, have a kind of party all night, bring other villagers in. This is an interesting moment. And I mention it because here, the piety of a person like Einhard is the same as the piety of the villagers. The Carolingian Renaissance is mostly about an elite program to try to preserve elite forms of knowledge. True, it is an effort to educate the populace, but that is probably the least successful aspect of it. The literacy rate in 875 was hardly any greater than it had been in 775, if you could do a statistical study, and it wasn’t very high. But when it comes to the saints, and to the meaning of the supernatural in regular life, the most learned people have the same attitude as the villagers of this little story.